Tackling the Inca Trail in Peru is a memorable and rewarding experience, but it’s important to be well prepared for the hike. Aside from the physical challenges of following the Inca Trail, there are some other practical considerations you need to think about. With that in mind, I’ve put together some guidance to help you get ready for your trek to Machu Picchu. To help preserve the Inca Trail and Machu Picchu, there are limitations on the number of people who can visit the site at any given time. Before you travel, you’ll need to apply for an Inca Trail permit, which will allow you access to the famous walking route. These are issued subject to availability, so it is sensible to apply early to have the best chance of trekking the Inca Trail when you want to. It’s important to remember that you need to provide accurate passport details on your application, as well as the dates that you’ll be walking on the Inca Trail. If any of these things change before you travel, you may need to purchase a new permit, which isn’t ideal as they cost £185 each! The most important thing when walking on the Inca Trail is to be comfortable, so make sure you pack items that you will be happy hiking in for several days. Remember that you’ll be trekking at high altitudes, too, and that it can get quite cold overnight. It’s therefore sensible to pack layers, so you can wear as many or as few as you need while you’re walking and once you’ve set up camp for the evening. Thermal base layers are recommended, as well as a sturdy pair of walking boots that you are used to. Wearing comfortable, durable footwear is essential when you’re tackling a challenging trek, so make sure you bring boots you have often hiked in. It’s advisable to wear your hiking shoes on the plane, too, as this will mean they won’t get lost in transit. This might sound like one of the most obvious things to pack if you’re trekking to Machu Picchu, but it can be easily forgotten when you’re trying to fit all the essentials into your bag. Even if you remember your camera, don’t forget to pack spare batteries (rechargeable ones won’t be much use when you’re high up in the Andes) and a spare memory card – unless the one you have is particularly large, as you can expect to take lots of snaps. After all, you don’t want to arrive at the Sun Gate only to discover that your camera has run out of power, or that you don’t have space for any new photos! Another useful gadget to pack is a torch, again with plenty of spare batteries and a spare bulb, as you’ll certainly be glad of a flashlight if you need to get up during the night while you’re camping on the Inca Trail. One final tip I’d give you if you’re striding out on this iconic trek is to ask your guide lots of questions about what you see as you walk. 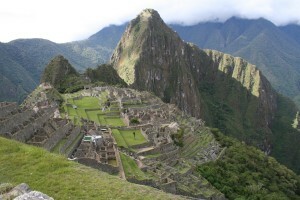 They will know all about the history of Machu Picchu, its discovery and the other Inca ruins you pass along the way. The design of this settlement in the Andes is fascinating, due to the way it mimics the environment around it. Your guide will point out the city’s most interesting features, but don’t be afraid to ask for more detail if you’d like to know about specific aspects of this stunning historical site.